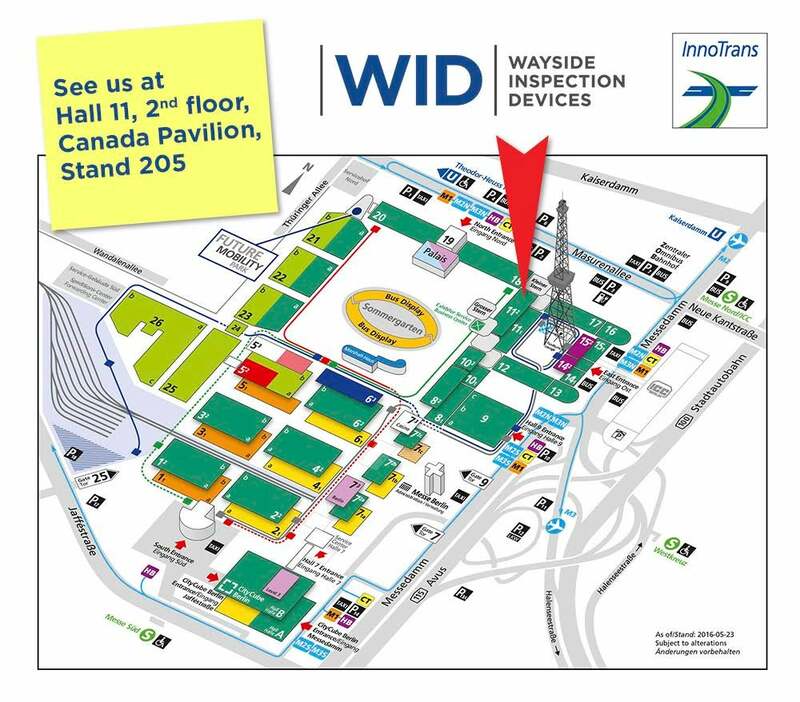 Wayside Inspection Devices (WID) will be exhibiting at Innotrans for its second show. WID will be a part of the Québec-Canada Pavilion, with a booth at Hall 11, second floor, stand 205. WID will be revealing exciting new developments of the TBOGI technology at Innotrans, with a pre-release announcement coming in early-September. "TBOGI is used by both freight and passenger railways to reduce derailments, reduce service interruptions, improve rail life, and improve wheel life," says Denis D’Aoust, President of WID. "We have been working for the past year on new development that we are excited to unveil at Innotrans." Tracking Position defects inflict head checking and gauge-corner cracking, as well as rail head cracking from shelling and longitudinal fatigue. Angle-of-Attack defects inflict intermittent crown wear as lateral material flows, lateral fatigue cracking that can lead to rail breaks, and surface breaking cracks that can develop into rail squats. Hunting defects inflict a combination of wear patterns, in particular, repeated flange impacts and scrubbing wear actions against the rail. "By using TBOGI, railways are significantly reducing these wear regimes throughout their networks, as well as realising increased wheel life, and a demonstrable reduction in derailment risk," emphasises Paul. "Degenerative bogie performance can be self-feeding. Asymmetrical wear patterns that develop on the wheels both increase stress on bogie components and accelerate the loss (and failure) of material from the wheels and rails. Railways using TBOGI have reported notable increases in the lifespan of wheels and other bogie components (such bearings, brakes, and suspension)." "We will be revealing our new developments at Innotrans, and are looking forward to demonstrating these innovations at our stand. We will be releasing more information shortly before Innotrans."